Despite a ‘soft’ launch in early 2010, May 2011 went down in history as the real sales debut of the Chinese truck manufacturing industry in Australia, kicking off with the Foton Aumark light truck. Gary Worrall took one for a quick test drive review. A short test drive review of the Aumark Chinese-made truck reveals it to be well sorted right out of the box. Much has been written about Chinese trucks and how they are the sleeping giant of truck manufacturing, with a significant domestic industry alongside overseas companies taking advantage of lower production costs. Already, Chinese manufacturers are doing a roaring trade churning out bus bodies and truck trailers, with plenty of examples of both all over the countryside. Until now, however, there have been more questions than answers about the quality of in-house design and manufacturing, with no one really understanding just what the country is capable of, particularly when it comes to ensuring life cycles that meet Western standards. The arrival of Foton Aumark trucks is about to see plenty of those questions answered, although, perhaps crucially, some of the key ones will remain a mystery, with Foton eschewing local driveline technology. Mark Gobessi, General Manager of Foton Trucks Australia, says that while the Aumark is designed and manufactured in China, it uses a Cummins ISF engine and ZF transmission, with the rear suspension tuned by renowned English company Lotus Engineering. 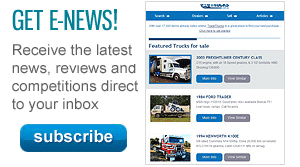 Although the first trucks to arrive in Australia are factory fitted with a steel dropside tray, Gobessi and his team have already established links with local body builders to provide options to prospective purchasers. "We will have a range of bodies at the show to illustrate how versatile the Aumark is, or it can be supplied as a ready-built trayback straight from the dealer," Gobessi says. Taking advantage of stablemate Western Star Trucks Australia's dealer network, Gobessi says the Aumark will be available at all 24 truck dealers, with technical support for the Cummins engine offered by the entire Cummins national service network. Unlike other manufacturers in the competitive light-duty truck market, Cummins uses selective catalytic reduction (SCR) on the ISF, with testing showing a burn rate of approximately 3 percent of diesel consumption. 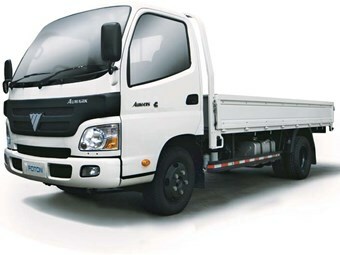 Visually, the Aumark differs from its Japanese competitors with a rounded front end rather than the flat front used by other manufacturers, which also improves air penetration once the truck gets moving. Other distinguishing marks include deep window wells in the doors, a curving windscreen following the line of the nosecone, and external mirrors anchored to the cab's A-pillars. The standard dropside tray also features a form of side underrun protection that also encases the underslung fuel tank on the passenger side, keeping it away from bollards, fence posts and other low obstacles. A short drive of the Aumark reveals it to be well sorted right out of the box, with impressive sound and vibration damping, so that sitting in the cab there is almost no engine noise, even cruising at 100kmh. Recognising that few operators will use the Aumark in highway situations, the Foton is geared high for good acceleration even when fully laden, with top gear in play from around the 70kmh mark. Despite being virtually brand new, with barely 1,000 kilometres on the clock, the exhaust brake proved highly effective. Following traditional light truck pattern it is operated via a column-mounted stalk and quickly washed off 10kmh as soon as the driver released the accelerator. The ABS braking system uses front discs and rear drums, and is tuned to work effectively in both laden and empty configurations, while the pedal, although light, provides plenty of feel. Similarly light, and perhaps not surprisingly, are the clutch and gearshift; as Gobessi acknowledges, many sales are expected to come from operators moving up from car-based commercials who will not be ready for a heavy-feeling driveline. Also impressive is the steering, with just 4.8 turns lock-to-lock for quick reaction, while the designers have dialled out the traditional dead spot that occurs in the straight-ahead position. The driving position is also comfortable, which did raise some eyebrows with the ability of a Chinese designer to come up with a space suitable for a larger Western body, although the steering wheel adjustment does stop short of the ideal position for taller drivers. 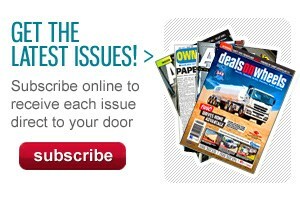 Wide-opening doors, which seem to be standard in this category, make entry and exit easy. There is a step for those of shorter leg length but otherwise climbing in and out is no stress at all. Despite a price tag that is expected to cause further ripples in the market, the Aumark is well-equipped, with standard fare including air-conditioning, AM/FM/CD stereo, with integrated reverse park sensor units, plus cruise control. "This is a solid product that offers great value, we see it as an opportunity for a professional product upgrade for buyers coming out of the ute and trailer market," Gobessi says. 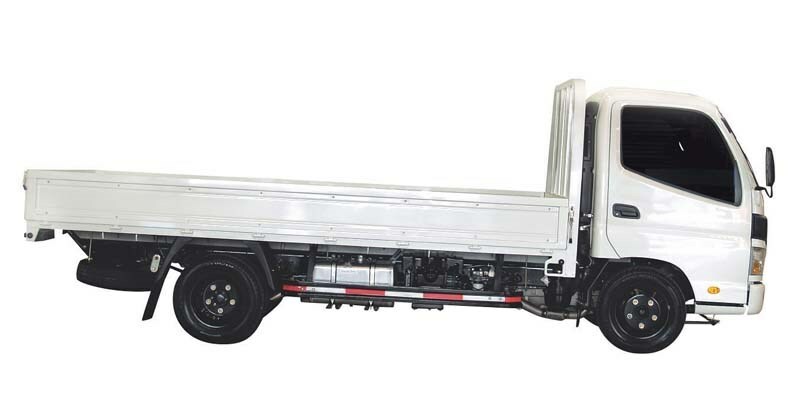 Find Foton trucks for sale.